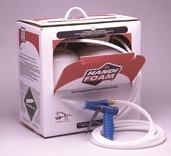 Handi-Foam® one component spray is a polyurethane foam designed to seal and fill small cracks, gaps and voids. 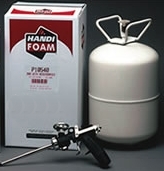 Handi-Foam® one component canned foams are available in 2 can styles, Straw Foam and Gun Foam. 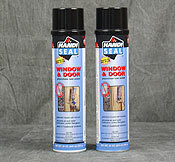 Handi-Seal® Window and Door Spray Foam Sealant is a high performance insulating and sealing foam designed specifically for window and door frames. It possesses unique low pressure expansion properties and virtually eliminates any chance of window and door frames bowing or binding after the foam expands. Handi-Foam® one component cylinder foam is specifically designed to fill smaller cavities such as corner joints, T-joints, around utility panels, pipes, duct penetrations, etc. on flat or irregular surfaces. Handi-Foam® Two-Component spray foam insulation kits are ideal for insulating and sealing jobs that require a product designed for spray application over large surface areas or for filling large voids and gaps. Handi-Foam® E-84 Class 1 Spray Foam insulation is a flame retardant expandable polyurethane spray foam that has the same properties and advantages as the standard 2-component foams but is also rated for applications where flame retardant requirements specify E-84 Class 1 Foam. Handi-Flow® Pour in Place foams are low pressure 2 component polyurethane foam kits. They are specifically designed for filling cavities, molds, fixtures or holes where a slower curing and expanding polyurethane foam system is required. Handi-Flow kits are foam dispensing systems, no more "mix and pray" in your mix and pour application. 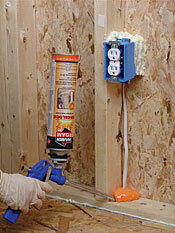 Cavity Fill - Dispensable OEM cavity filling polyurethane froth foam system. Engineered to have a slower curing time than standard spray foam thus allowing the pour-in-place foam to flow freely and fill large voids. Channel Fill - Specifically designed for filling cavities, hollow tubing, framing, channels or casings where slower curing and expanding foam is required for complex applications. Slow Rise - Flotation foam meeting Coast Guard specification requirements for flotation foam in Title 33 code of Federal regulations, paragraph 183.144. 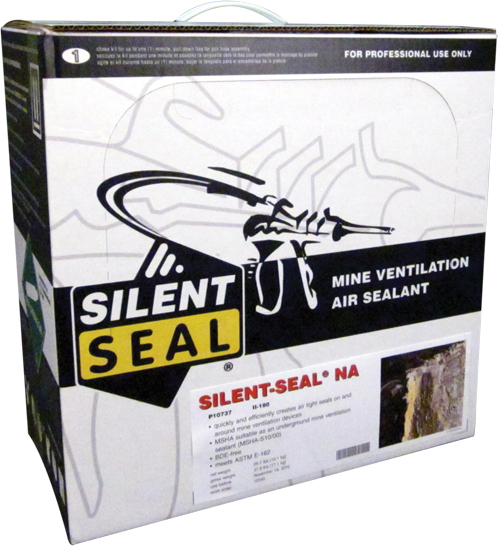 Silent Seal® is a mine ventilation sealant. Silent Seal® expands and seals in seconds to quickly and efficiently seal, insulate, fill, coat and sound dampen many areas above ground and underground. Handi-Foam® Fireblock Sealants is used to seal concealed penetrations from floor to floor or room to room in order to prevent or delay the spread of smoke and flame. Fireblock foam is an easy to install expanding 1-Component Polyurethane Foam Sealant which passes ICC-ES evaluation as a Type V residential fireblocking product. HandiFoam® General Use adhesive is designed to create an extremely strong and permanent bond between various types of building materials. HandiFoam® General Use adhesive is specifically formulated to use when a quick secure bond is required for drywall, foam board, FRP panels, OSB, Plywood and most other building materials. 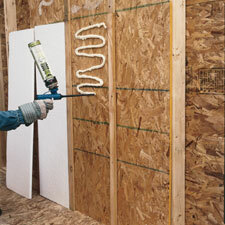 Refills for various Handi-Foam® spray foam insulation systems. 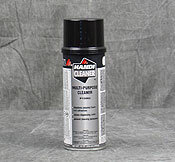 Multipurpose Handi-Cleaner® is a spray solvent used to dissolve uncured foam. Handi-Cleaner® can also be attached to any of the sealant dispensing units, allowing the unit to be flushed and kept clean and operable. The Handi-Gun® dispenser uses the available Cone or Fan nozzles and features a responsive trigger for precise dispensing of foam. 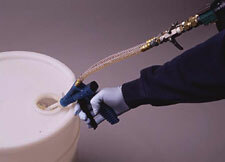 Handi-Gun® and nozzles can be cleaned with appropriate solvents.